How about an Android tablet that will cost you less than $115 ? Well Boss Electric Magic Album 7″ Android Tablet 2186 is your answer. This 7 inch Android tablet comes with Wi-Fi and 2GB Internal Memory. It also has a SD Card Slot for added memory. 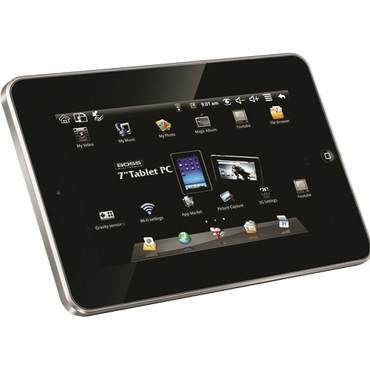 It has a smooth 7-inch Capacitive Touchscreen and gives upto 3 hours of usage per charge. It can connects to your desktop using a mini usb connector and also has external stereo connectivity. Next More Motorola Xoom Updates!